Internet marketing success takes vast experience, extensive industry knowledge, and an ability to consistently evolve. With AACD 2019 right around the corner, we sat down with Rosemont Media CEO Keith Humes—a long-time SEM veteran—to take a look at how his company has embodied each of these variables to achieve a decade of digital marketing excellence for dentists. How did you get your start in digital marketing? I started in digital marketing in 1999 as a bright-eyed 26-year-old on the ground floor of an Internet startup company—back when Internet startups were a new thing. Initially, I was involved in creating some of the first online directories for doctors and dentists, and I later evolved into selling full-blown marketing strategies, including websites. In fact, I was on the forefront of selling many products that were new back then but are considered common practice today, such as SEO, video websites, etc. When and why did you start Rosemont Media? I started Rosemont Media in January of 2008. Having been involved in the business of selling directory listing to healthcare providers for the previous nine years, I noticed a transition in Google; basically, that Google was making it easier for consumers to find what they were looking for from both a treatment and geographical standpoint. Originally, the Internet was never properly geographically indexed for services of any kind, so it was very difficult to find what you were looking for on a local level. However, around 2007 or so, Google changed their algorithm in a way that made local businesses easier to find. Thinking long-term, I realized there was a lot of opportunity for an individual practice with its own website to strategically grow and develop to take advantage of Google’s evolution, essentially turning website strategy into an asset for practices rather than simply an expense. And, so, Rosemont Media was created. What year did you attend your first AACD Conference? I attended my first AACD conference in 1999, which took place in San Francisco. The 2019 symposium will be my 21st consecutive AACD. 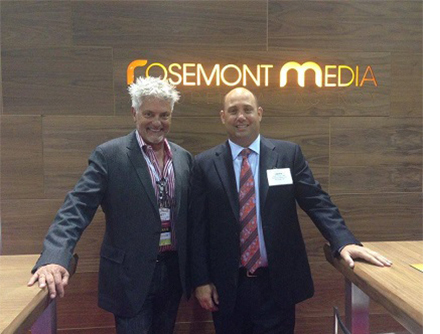 When did attend your first AACD with Rosemont Media? My first year attending AACD with Rosemont Media was 2009 in Hawaii, making this year’s AACD conference the eleventh in a row for RM. What sets Rosemont Media apart from all of your other competitors? Quality over price. We’re not for everyone, but we are for the right practices. The quality of our product—from the actual websites we build to the ongoing service we provide—is unmatched. We really consider ourselves similar to a financial advisor in regard to monitoring different marketing trends, Google algorithms, and various other factors to keep our clients ahead of the pack. Some of the most important strategies we’ve employed have been not implementing certain tactics for our customers—we are very discerning in what we advise and implement so as to not put our clients’ strategies in jeopardy. Digital marketing is not just saying “yes” to every brand new, shiny thing that comes along. "Digital marketing is not just saying “yes” to every brand new, shiny thing that comes along." If you had to give one word of advice to a dentist researching digital marketing companies, what would that be? Do your due diligence. Just as you’d get an estimate for a house, get two to three estimates from various web companies. Talk to each company’s clients. Don’t necessarily get referrals directly from the web firm itself, but rather go on their portfolio and look for colleagues you may know. If you find any, I’d recommend giving them a call to see how their experience is or was with the company of interest. Lastly, don’t base your decision on cost alone—focus on results and return on investment. Over the last decade, what Rosemont Media achievements are you most proud of? I’m particularly proud of the consistent SEO growth our clients have experienced over the years. I’m also pleased with our adoption of social media strategy early in the game, as well as our decision to build our websites on the WordPress platform—which we’ve been doing since day one and are still doing today. WordPress adds a lot of value to online marketing strategy because it’s a common platform that a lot of developers can work on. A major pitfall we see is practices getting sites developed on a proprietary system or an obscure system, and it ends up being very difficult to find someone who can work on those platforms. Lastly, being one of the first in healthcare to move to the responsive website platform seven years ago makes me very proud. It’s a good example of how we are constantly monitoring our industry to help our clients stay ahead of the curve. Where do you see the future of digital marketing for dentists going? We’re still in the infancy of the Internet, but I believe that stage is coming to an end. I foresee SEO eventually being a thing of the past, so take advantage of it now while it’s still here because it’s a great strategy. In the future, everything will be paid. "If you’re a dentist, you need to think about how you can be positioned uniquely in your marketplace to stand out from the rest." If you’re a dentist, you need to think about how you can be positioned uniquely in your marketplace to stand out from the rest. It’s becoming more and more difficult to differentiate yourself as everyone’s strategy kind of assimilates. That’s the double-edged sword of the Internet—you can see what everyone else is doing, so it’s easy to emulate others. Distinguishing yourself in this environment is key. When you’re not helping clients achieve digital marketing success, how do you like to spend your time? Living here in San Diego, you can always find me taking advantage of the great weather out on the water—mainly reeling in fresh catches on my boat to grill up for dinner. 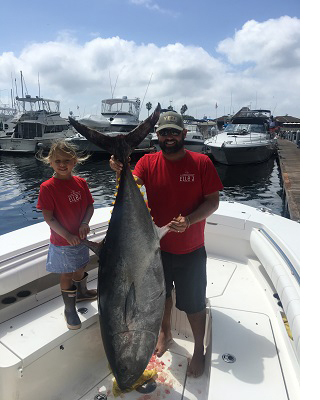 Along with fishing, I like to spend my time hanging out with my wife, Courtney, and our two daughters, as well as surfing, biking, and watching Philly triumph in the sports world. Rosemont Media is offering a unique opportunity for AACD members to get a free digital marketing analysis at the upcoming conference in San Diego. Come by Booth #1017 during exhibit hours and RM dental consultants will be happy to spend some one-on-one time with you, taking an in-depth look at your current marketing strategy. Going to AACD 2019 in San Diego? Rosemont Media will be hosting a cocktail party at Roy’s on Thursday, April 25 at 6:30pm, providing a great time to connect with friends, colleagues, and the RM team in a laid-back, social environment.